Search Engine Optimisation, or SEO, is an on-going process to help improve your website’s organic rankings in search engines, like Google. SEO helps your target customers find your website and business online. 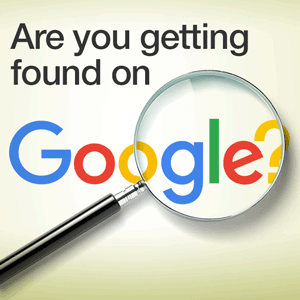 SEO is about getting found by search engines, but even more importantly, it’s about being found by potential customers. All search engines are powered by algorithms. These algorithms are made up of many hundreds of factors, but their overall purpose is to help the search engine do one simple thing: connect the person searching with the content most relevant to their need. That’s why optimising your website for organic search is so important: done right, SEO is how you can make sure the search engines connect your site to your market. Why use a SEO service? Having good visibility on search engines should be a key part of any organisation’s online marketing strategy. Optimising both your website and your online activities will help get your website appearing higher up in search results, which will increase enquiries and sales. But gaining and keeping a strong SEO presence isn’t always easy. SEO isn’t just one thing – it’s many separate elements that work together to help search engine algorithms find and list your website. That’s why SEO requires a range of skills, including web design, targeted copywriting and both on-site and off-site analysis. SEO is both a science and an art and it takes time, practice and expertise. With constant changes to the way search engines work, having a partner in SEO is a major advantage! Why use Baker Marketing for SEO? At Baker Marketing, we know that one-size doesn’t fit all. That’s why we will work with you to get the best SEO solutions for your needs for today and into the future. Want to know how your site is performing? Need help delivering a stream of potential customers to your site? Contact Baker Marketing to discuss how we can help you with SEO! Here are 3 of the most common misunderstandings about how content marketing and SEO work that you need to get right to avoid doing your website and business more harm than good. SEO is a sneaky little word. So simple looking, but it actually represents a winding rabbit hole of the internet marketing world. Unfortunately, SEO has become one of those buzzwords that’s completely ubiquitous and yet totally misunderstood. Create the best digital base for your business with our full range of website development and design services. Get the most out of every online advertising dollar with targeted set-up, analysis and data-drive advice.